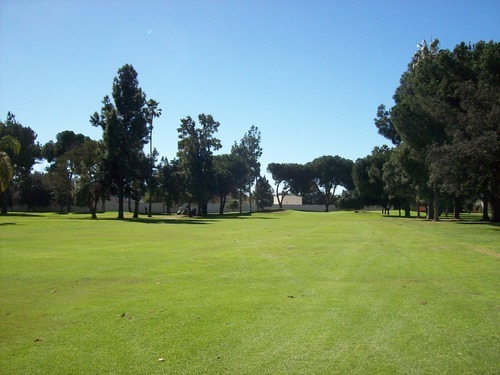 Yes, I am aware that it’s a little funny that, of all courses I could have picked to play today, I picked the one with “Amigos” in the name. In fact, it’s one of the reasons I chose it. If you are unaware of why this might be a tiny bit funny, just check out my previous post. 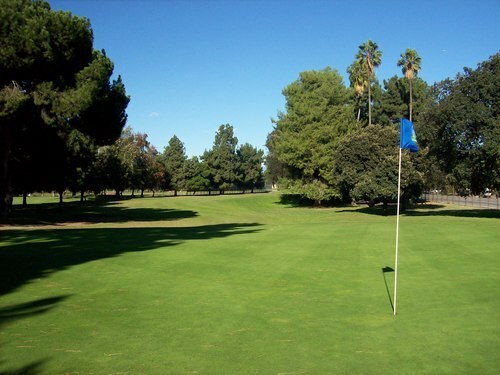 The main reason I chose to play at Los Amigos Golf Course in Downey today is that I was looking for a cheap and relatively convenient (as in somewhat close to home) course and a tee time that was in the late morning. I spent the early half of this week out in Houston, but unfortunately it was for work and I didn’t get to play any golf out there. 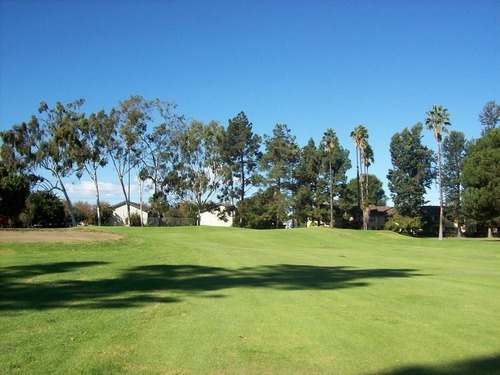 With an exhausting week behind me, I wanted to sleep in a bit and play a late morning round. 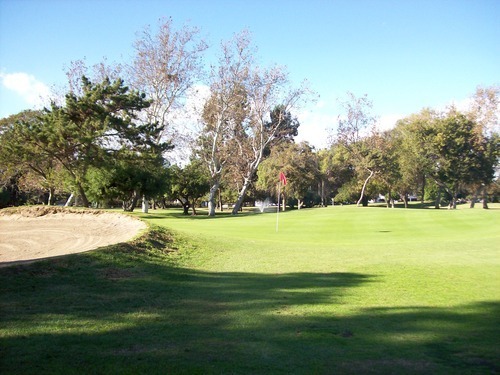 When I did my usual search on GolfNow, Los Amigos was one option that stood out—partly because it did ironically have “Amigos” in the name, but mainly because it was only $27 (cart included) for an 11:48 tee time. Just right. 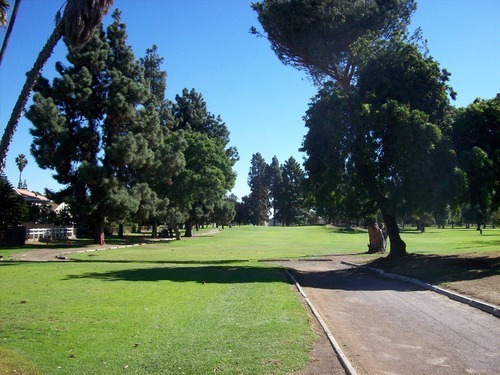 Two other factors was that it wasn’t quite as long a drive as normal (about a half hour to Downey without traffic) and, of course, it was a course I hadn’t played before. I was a little worried that I might not get to finish my round today. 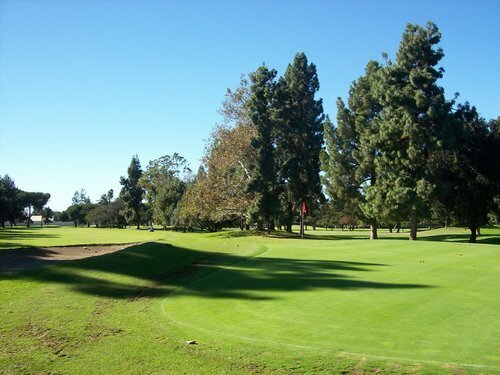 With it getting dark so early right now and the usual threat of a 5.5-6 hour round that often comes with an Los Angeles County owned course, I made it a point to get out there early and try to tee off prior to my scheduled tee time. I got out there around 11:10, and though the course looked pretty crowded, there was hardly anyone milling around the pro shop, practice green or first tee. Perfect. I checked in and the girl said that if I was ready to go I could join another single just about to head out to the first tee. We teed off together right around 11:20. 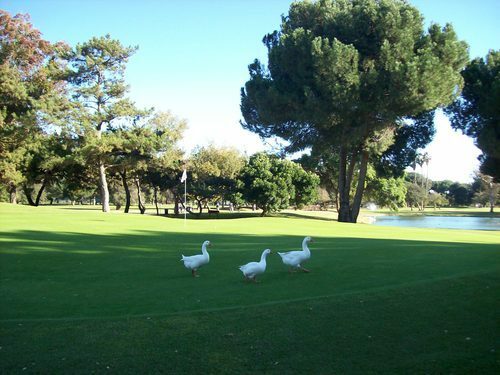 Unfortunately, there was a steady flow of foursomes in front of us, so it was not a very quick pace of play. On top of that, more twosomes ultimately caught up behind us, so it was a lot of “hurry up and wait” golf. Even though it seemed brutally slow, we still finished in about 4.5 hours, which is pretty nice on an LA County course! My expectations weren’t too high coming into the round. I really just wanted to play today and the price was right. I was pleasantly surprised with the layout of the course. The front nine isn’t anything too great or interesting, but it’s a good mix of hole shapes and lengths. And though the course is super flat overall and relatively forgiving from tee to green, the greens themselves are very fun. They feature some major undulation and some very hard-to-read breaks. 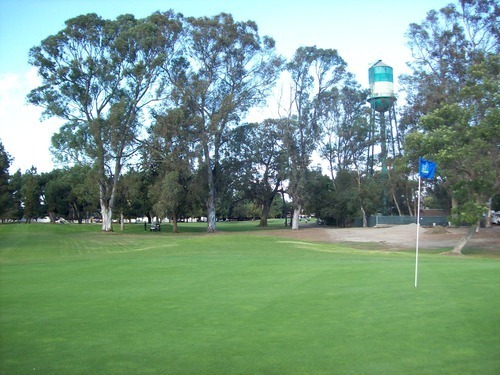 Many are guarded by at least one pretty nasty bunker, reminding me somewhat of Willowick here in Orange County. The back nine perks up a lot more in terms of design. 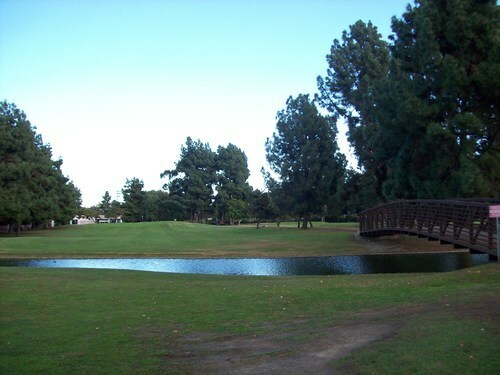 Some water hazards come into play and the doglegs get even more severe. Some may deem this layout as a bit too “funky,” but I liked that it wasn’t as straightforward or dull as I kind of expected. 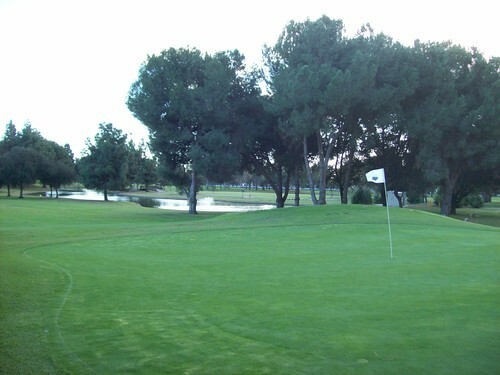 It was very windy out at Los Amigos today and that added some more challenge for sure, especially as it got late in the day and got kind of chilly. 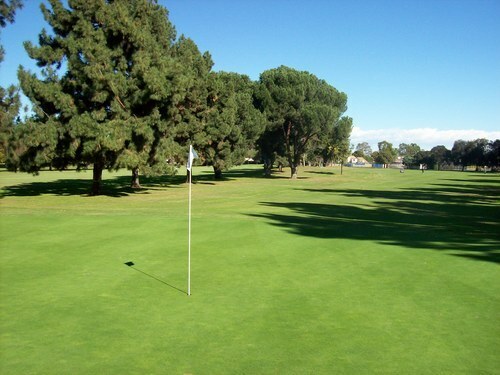 The conditions were that of an average “muni” course for this time of year. From tee to green, it wasn’t anything too great, but it was playable enough. For $27 on a weekend, I don’t tend to be as critical toward conditioning. 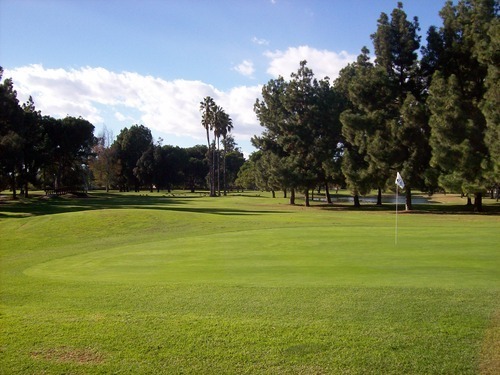 A recent review on GK spoke about the greens being in very rough shape. 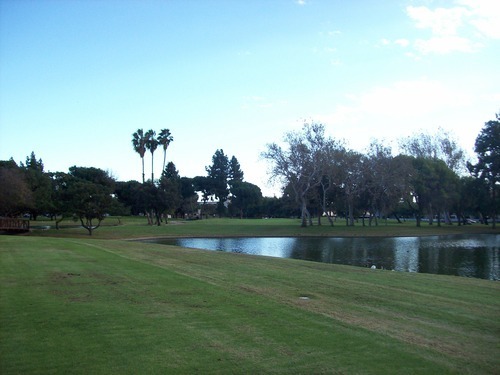 A new management company recently took this course over and hired a new superintendent, and you can see the progress they are making on the greens. They still have a ways to go, but they are getting there. 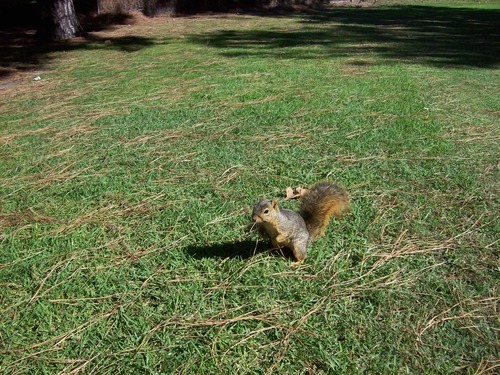 The greens were nice and lush with the grass coming in well, but they were playing very soft, shaggy and slow. There were a lot of bumpy putts today! The front nine greens seemed to be in better overall shape than those on the back. The 9th hole is still playing to a temporary green and it looks like it will be quite awhile before the normal green is ready. It appears they are rebuilding it from scratch. If you want better conditioning/service and a better overall layout, I would recommend Rio Hondo just down the street in Downey. However, for the price, Los Amigos is just interesting enough to consider. If conditions continue to improve under new management, it will be a worthy competitor to its cross-town rival.